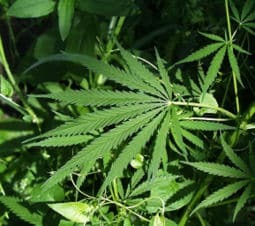 A pot pipe victory in time for 4/20 | Jon Katz, P.C. The judge rejects my motion to suppress the stop of the car and the search following an allegedly positive dog alert. After closing arguments, the judge hands down a not guilty verdict, agreeing with our portrayal of our client’s car (starting with cross examination) as messy, and the pot pipe as having been found beneath a container lid that was closed, and this being a circumstance where the smell of marijuana and any admissions by our client are absent. Applying the required possession definition (knowledge, dominion and control), the judge agrees that knowledge of the pot pipe’s presence was not proven against our client, in part seeing he was borrowing the car from someone else, and there was no showing how long Defendant was in possession of the car. Coming just a day before 4/20, this victory could not have arrived at a better time. Jon Katz.